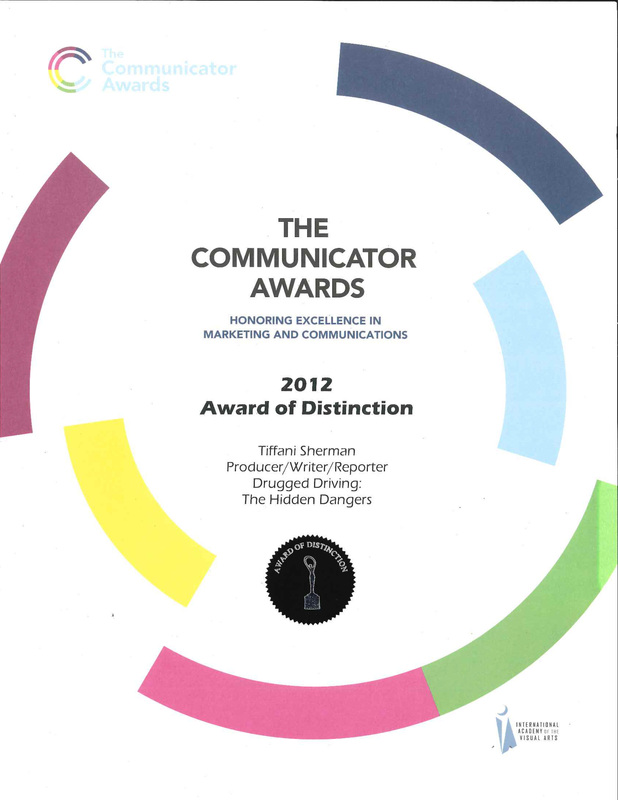 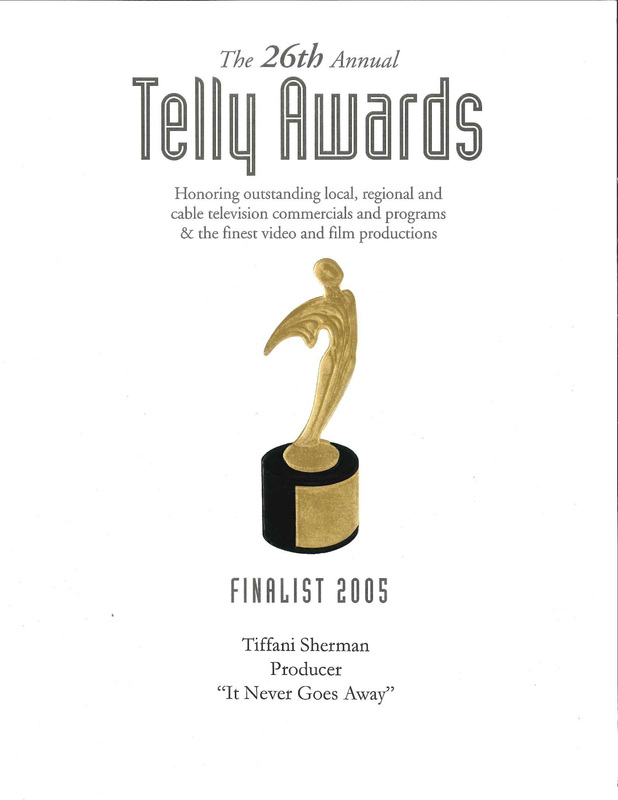 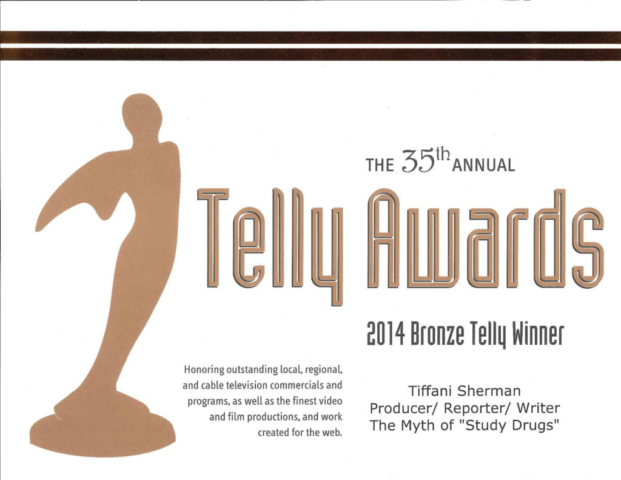 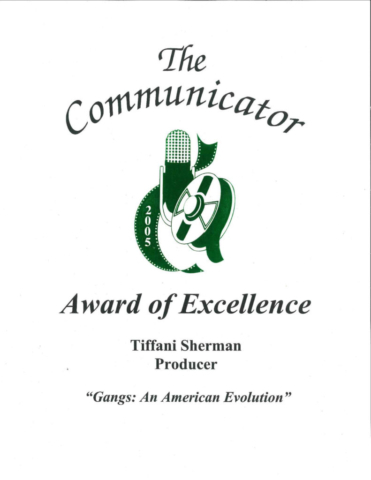 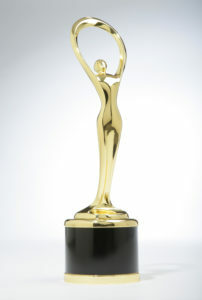 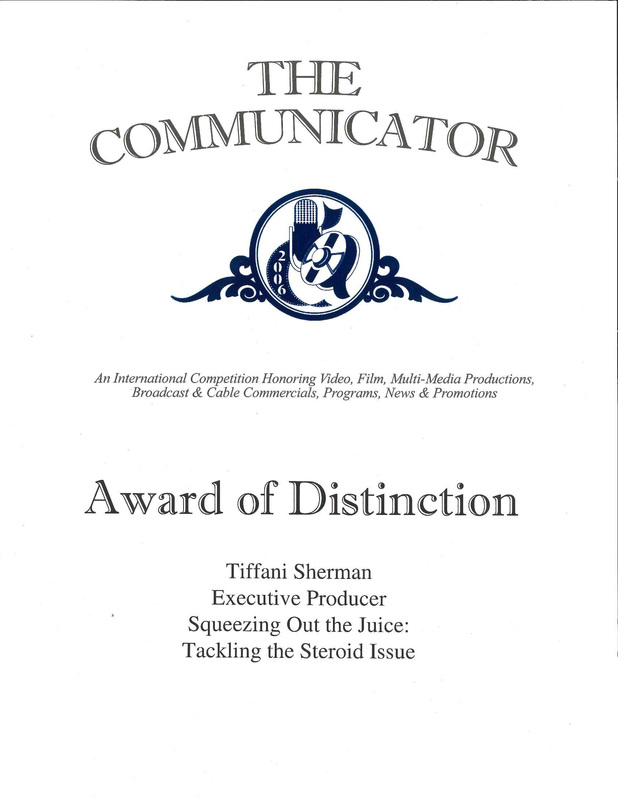 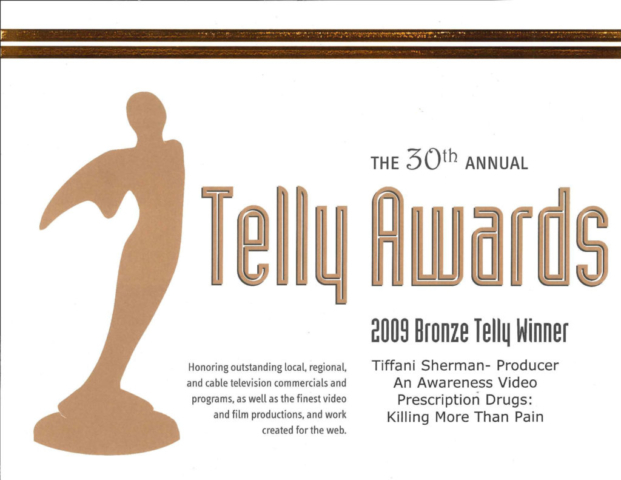 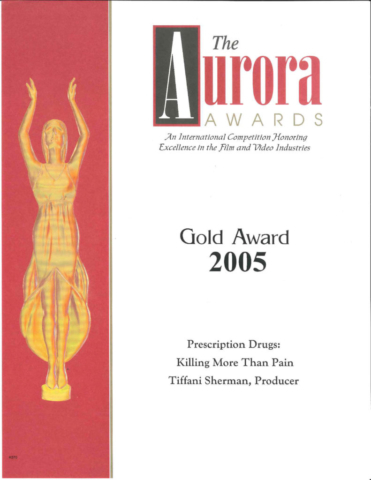 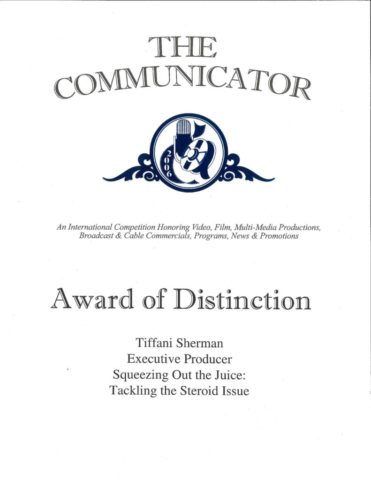 Video productions produced and written by Tiffani Sherman have won 18 international awards. 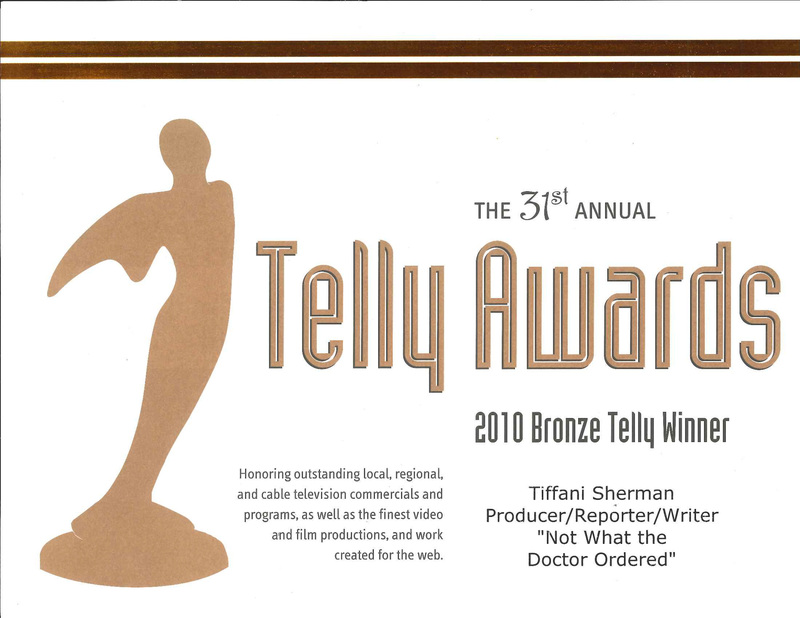 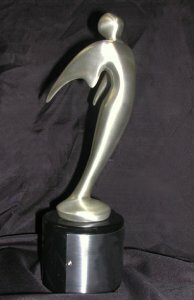 The prestigious award contests include: Telly, Communicator, Aurora, and Aegis. 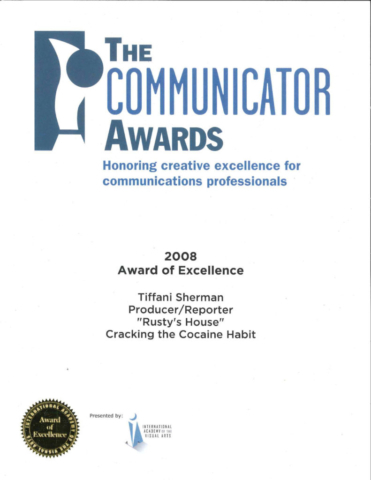 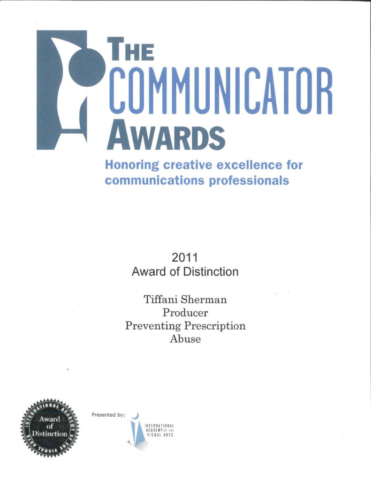 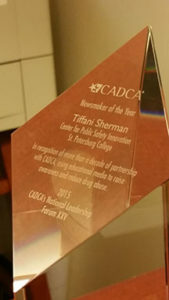 Tiffani has also won the Newsmaker of the Year Award from CADCA, Community Anti-Drug Coalitions of America for using video to raise awareness and reduce drug abuse worldwide.